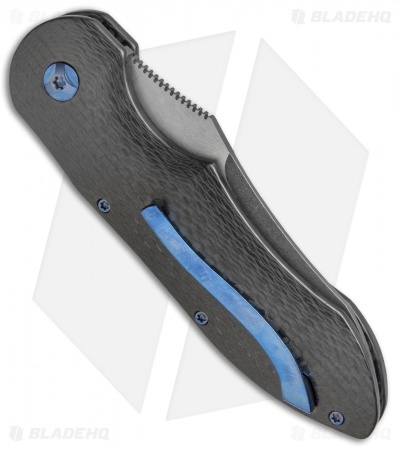 The Blue Max 1 features snappy push-button automatic action in tandem with the sleek style of the original Blue Max folder. 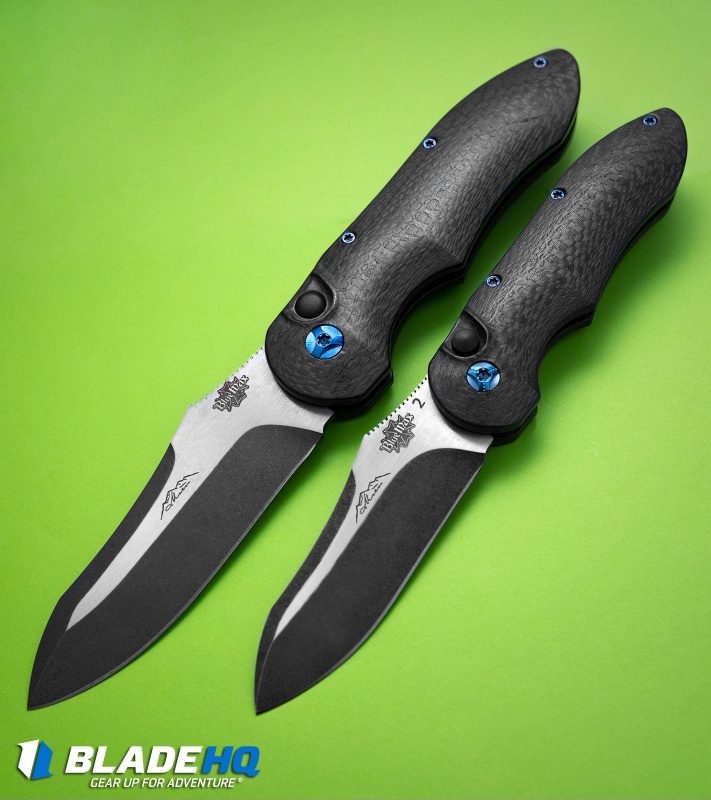 Jerry Moen's Blue Max, is a fantastic knife that was made and named in honor of Raymond Beadle of Blue Max funny car racing. 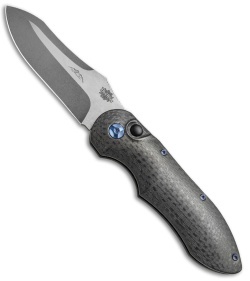 This automatic model sports a full carbon fiber handle with blue anodized hardware. 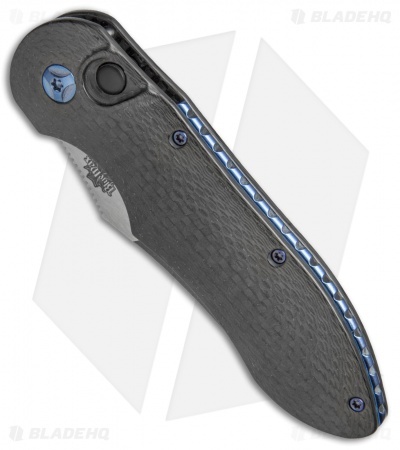 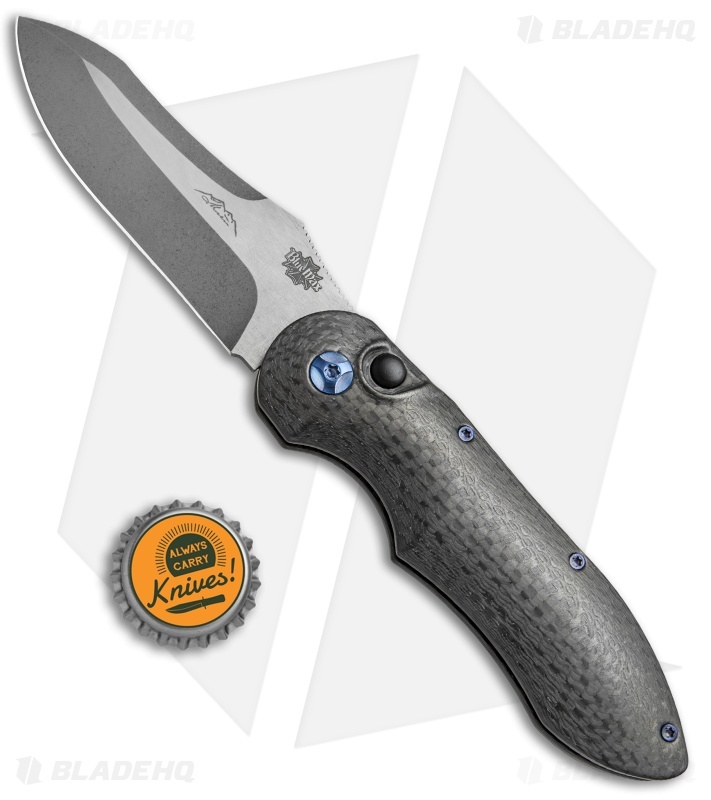 The blade is made from CTS-XHP steel with a two-tone, acid stonewashed finish. A jimped titanium backspacer finishes off the collectible design. Hand ground CTS-XHP steel provides a tough, corrosion resistant blade. Full carbon fiber handle offers lightweight strength and aesthetic appeal. Blue anodized titanium backspacer and pocket clip contrast nicely with the dark carbon fiber handle.